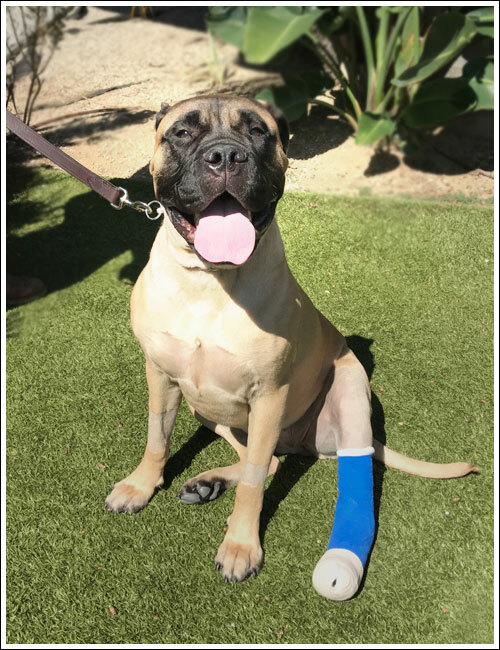 Nola is a very sweet pup who tore a ligament that holds part of the Achilles tendon in her left leg causing it to luxate, or dislocate, while she was playing with another dog. 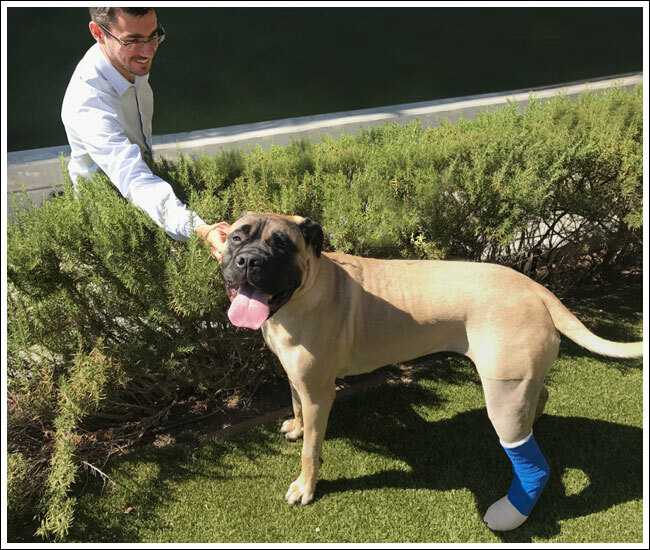 Her condition, known as luxation of the superficial digital flexor tendon, required surgery to repair the ligament and allow her to return to function. Luckily, Dr. Laurent Guiot was able to correct this with surgery and send Nola home with her loving parents!